David England is a Psychosynthesis Psychotherapist and Counsellor in private practice. He trained at the Institute of Psychosynthesis, where he worked for seven years as a course tutor. For five years, working alongside a Psychosynthesis colleague, (Simon Smith, author of Inner Leadership), David undertook Psychosynthesis-based business coaching and personal development work with business managers. 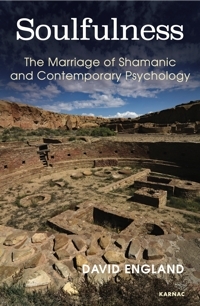 David trained as a Shamanic Practitioner at Eagle’s Wing College of Contemporary Shamanism. He is also a workshop leader, professional storyteller, and public speaker.